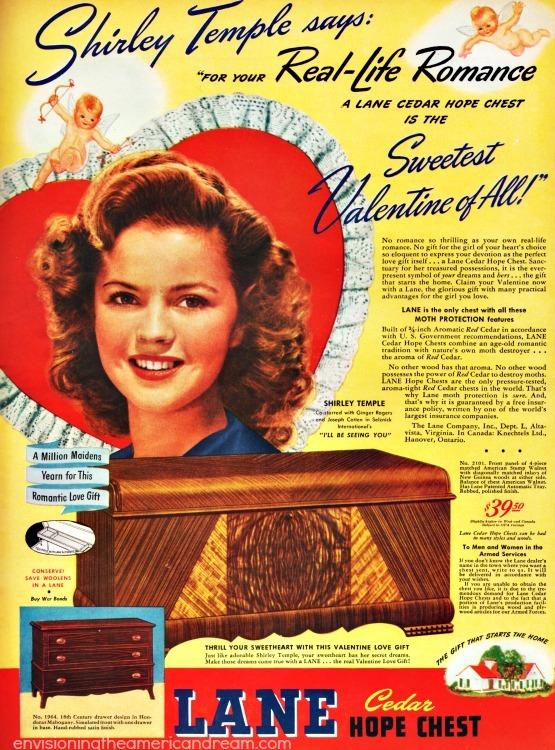 With Shirley Temple’s death falling so closely to Valentines Day, this 1951 ad is particularly poignant. During the 1930s a pint-sized curly-headed dynamo named Shirley Temple supplied a smile and a heap of hope for a Depression weary public by singing and tap dancing her way into our hearts. 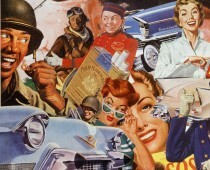 Is it any wonder that in a few year Americas sweetheart offered up hope in another form- a Lane Hope Chest. The start of so many American dreams once began in a simple wooden box. A box filled with hope; a box that started the home. 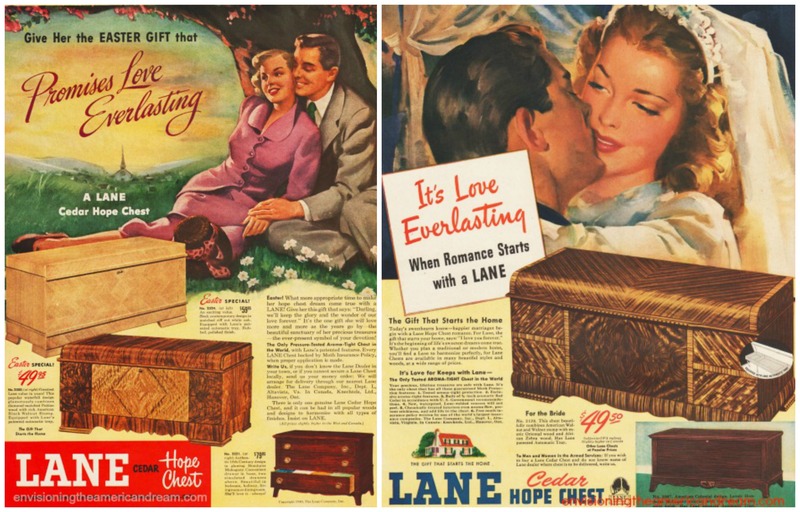 Diamonds may be a girls best friend but for mid-century brides-to-be nothing said “I love you like a pressure tested aroma-tight-cedar hope chest by Lane.” the gift that starts the home” as the tag line boasted. Love and marriage were the first steps towards achieving the American Dream which would lead them to a home of their own. And nothing solidified the foundation of their future home than “the gift a million maidens yearn for”- a hope chest. There was no more romantic gift for Valentines Day or any other occasion. Take Shirley Temple’s word for it- she was happily married for 55 years. Her knack for lifting our spirits made Shirley Temple the darling of the Depression. We sure could use her brand of sunny optimism now.